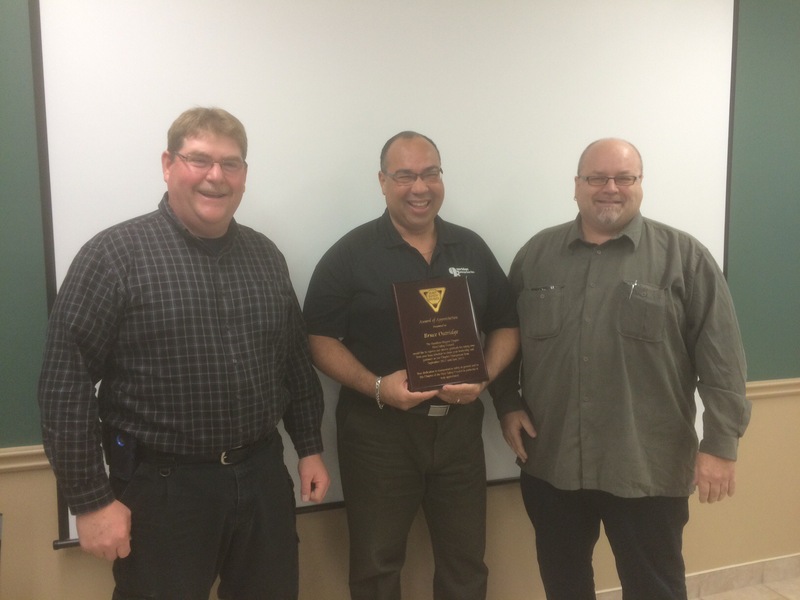 At the November meeting for the Hamilton Niagara Fleet Safety Council Bruce Outridge now the current Past Chair was awarded a plaque for his years of service as Chairperson of the Hamilton Niagara Chapter of the Fleet Safety Council. Bruce was surprised by the award and very thrilled at the acknowledgement. I would like to thank the Hamilton Niagara Chapter for their thoughtfulness in giving me this service award. I am blessed to be part of a great chapter with people that are not only dedicated to safety, but make safety fun with their sense of humour. I enjoy being part of the chapter and thank you for allowing me to lead you over the last few years. You are now in the capable hands of Chair Jim Campbell.